Welcome Downsizer! You've found the right game and best site. There are many more modern games that Smac(x) still puts to shame. Hmmm...horsepower? Your backup rig predates the miniaturization to hamsterpower? My backup rig is a cross-dresser. It will have an over-priced graphics cars in times of plenty and in more lean times, it will get stripped down to the Intel integrated graphics. You can chart my financial status by the status of the rig. I'm thinking that every modern gamer should be take a few months and wean themselves off of a graphics card in order to force them to play games like Fallout, AC and Planescape Torment. Hello fellow humans, I'm totally not a bot. But seriously I found you somewhere in Reddit. 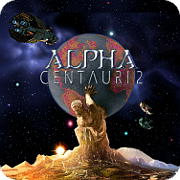 I've been playing Alpha Centauri since forever, and also played the whole Civ series since its first game. I'm also a game developer. Welcome, GM! Even if, as a mere Player, I find your name both hope inspiring and scary . Have you had a chance to peruse the forum sections The Theory of Everything and Modding yet? We have many threads there on game design both ancient and active. A couple groups of them currently quite active. Another voice (with mind attached) would be quite interesting so jump right in if you wish. Our resident site manager Bunkle is present and accounted for and extends his unkle-ly talents to the community. Chat him up, he will be a good guide to the site and it's history. He's also into game graphics and knows who's working with sight and sound. Are you by chance the sub-species of human commonly called a 'code monkey'? If so, you might find extra interest here as decompiling the (undocumented) code, patching bugs, and enhancing AI behavior have past and current projects homed here and the work is far from complete. I'm glad to be here. I found you guys from a Reddit thread. Possibly started from someone above me in this thread. I used to be active in the civfanatics forums but that was ages ago when the web was new. A lot of folks find us by word-of-web, or searches. Hmm, you must be as old as I if you remember the infant Web. Have you been playing SMAC(X) since the last century as well? Page created in 0.88 seconds with 42 queries.